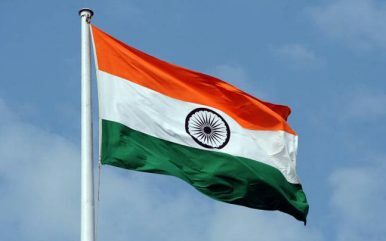 On April 11, India begins the first phase of voting for its 2019 general elections. An estimated 900 million eligible voters will cast their votes over seven phases lasting nearly six weeks. In the lead-up to this election, India’s two major political parties – the ruling Bharatiya Janata Party (BJP) and the opposition Indian National Congress (INC) – have run vastly different campaigns, offering divergent views for the future of India. While Narendra Modi’s BJP has run a campaign that emphasizes nationalism, security, and strength, the INC, led by Rahul Gandhi, has advanced a message of welfare, social justice, and equality. Over the next six weeks, Indian voters face a stark choice: the BJP’s guns, or the INC’s butter. The BJP took this one step further in their election manifesto, released on April 8. Within the opening paragraphs, the manifesto notes that “to achieve our long-term goals, we must first secure our country against internal and external aggression.” This statement is followed up with the BJP’s opening salvo, a section titled “Nation First,” with the first promise of the manifesto declaring the BJP’s “Zero-Tolerance Approach to Terrorism” after referencing the recent airstrikes against Pakistan following the February 14 deadly terrorist attack in Pulwama. The manifesto goes on to list the BJP’s major promises in putting the “Nation First” along similar, security-centric lines, such as removing special rights in India’s constitution for the state of Jammu and Kashmir, modernizing India’s armed forces, and strengthening border security infrastructure. This “security first” message runs in direct contrast with the BJP’s successful campaign five years ago, which was marked by then-Chief Minister Narendra Modi referring to himself as “vikas purush” or “development man,” and a laser focus on the state of the economy. Indeed, the BJP’s 2014 manifesto opens with references to rising prices, jobless growth, and corruption, leaving issues of security buried deep in the final pages. However, facing allegations of jobless growth and economic mismanagement, the BJP has leaned into the aftermath of the air strikes against Pakistan, placing its bets on security as the winning election theme for the 2019 elections. In its own manifesto for the 2019 elections, the INC has leaned into the economic narrative in the opening pages. The manifesto begins with a section titled “Employment and Growth,” a stark contrast to the BJP’s “Nation First” clarion. The INC manifesto goes on to call “unemployment the “gravest challenge to the country” and placing the blame squarely on the Modi government for “growing unemployment and the destruction of existing jobs.” It makes several key promises on improving employment, such as creating a “new Ministry of Industry, Services and Employment,” filling all 400,000 vacancies in the central government by March 2020, and exempting all micro, small, and medium enterprises in India from major regulations. However, the INC’s focus on economic issues goes beyond employment or job creation and makes welfare a key component of its 2019 campaign. In January 2019, on the heels of its victory in the state elections of December 2018, Rahul Gandhi announced that his party was “committed to a Minimum Income Guarantee for every poor person, to help eradicate poverty & hunger” should his party come to power in 2019. The INC manifesto detailed this promise, outlining a plan to offer Rs. 72,000 ($1,035) per year to the poorest 20 percent of India’s population under a program called Nyuntam Aay Yojana, or NYAY, which translates to “justice.” Justice, welfare, and economy are, therefore, shaping up to be the INC’s answer to the BJP’s national security narrative for the 2019 elections. With the release of INC’s and the BJP’s manifestos, the stage is set for a battle of narratives in India’s 2019 general elections. While the BJP looks to advance a vision of safety and security under a second term for Prime Minister Narendra Modi, the INC is positioning itself to present a vision of economic development and welfare. As Indian voters head to the polls and decide who they will vote for in the upcoming elections, they will face a fundamental choice beyond the names on the ballot. They will need to choose between guns or butter. Aman Thakker is a Research Associate at the Wadhwani Chair in U.S.-India Policy Studies at CSIS and a Contributor for The Diplomat.